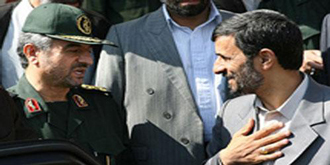 Iran has denied a WikiLeaks report that Iranian President Mahmoud Ahmadinejad was slapped by the chief of the country’s Revolutionary Guards, the Tehran press reported Saturday. According to a leaked US diplomatic cable, General Mohammad-Ali Jafari slapped Ahmadinejad in early 2010, as Tehran was still dealing with the fallout from a disputed election. Spokesman Ramezan Sharif said that some of the WikiLeaks disclosures about the United States might have been true but there had also been several fabricated pieces of information. President Ahmadinejad last year dismissed the WikiLeaks documents as worthless. He said they followed certain political aims and had no impact on Iran’s relations with any other states. Iran was especially upset about the leaked documents saying that Saudi Arabia and Bahrain urged the US to halt Iran’s nuclear programme by any means, including a military attack. A brief paragraph in the mountain of Wikileaks documents shed a sliver of light on what officials claim is a vicious and coldly efficient Iranian campaign of revenge on Iraqi air force pilots who bombed Iran during the Iran-Iraq war of the 1980s. 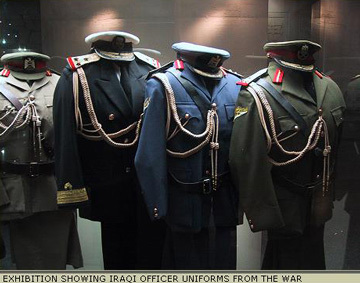 “Many former Iraqi fighter pilots who flew sorties against Iran during the Iran-Iraq war were now on Iran’s hit list, Iran had already assassinated 180 Iraqi pilots.” the Dec. 14, 2009 confidential U.S. cable stated. Iran used the chaos in the aftermath of the invasion to settle scores from the Iran-Iraq war, an eight-year slug fest from 1980 to 1988 in which an estimated 500,000 Iranians and Iraqis died. The war was largely a bloody standoff that resembled World War I at times with trench warfare, poison gas, human wave and bayonet attacks. Iran, however, has taken a special vengeance on the pilots of the Iraqi air force and the lawlessness that followed the collapse of Saddam’s regime gave Iran its opportunity. In addition to the 182 pilots who have been hunted down and killed by Iranian agents, the assassination campaign prompted another 800 Iraqi pilots to flee the country, according to statistics released by the Iraqi Defense Ministry. The targeting of air force pilots began in Baghdad’s largely Shiite neighborhood of Karradah and reached its peak in the holy month of Ramadan in 2005 when 36 pilots were gunned down in that neighborhood. Residents of Karradah refer to that killing season as the Black Ramadan. The Iranian fury was on display in the death of former pilot Sayyid Hussien, a Shiite who felt that he was relatively safe running a hardware store in the Sunni neighborhood of Ghazaliyah. He was wrong. Shiite militia dressed all in black and wearing masks shot him dead in a daylight hit, emptying an entire magazine of 30 bullets into Hussien’s head. Iranian officials in Baghdad and Washington did not respond to repeated calls for response to the allegations. Iranian opposition leader, MirHossein Mousavi says he supports the formation of a unified front that includes all the opposition movements in Iran. 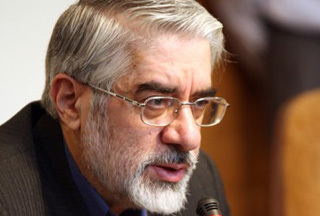 Mousavi maintained that his insistence on the social networks model was due to the widespread arrest and violence exercised against the reformists. Mousavi claimed that “The continued oppression and failure of the government to recognize the truth in addition to state lies, violations of the law, corruption and incompetence in domestic and international policies” will spread the reach of this burning fire from under the ashes. Wikileaks documents state that a number of Arab nations in the region have supported the option of a military attack on Iran. Mousavi also referred to the documents revealing “Israeli policy of fomenting ethnic differences in Iran” and warned the people to remain alert against such provocations.